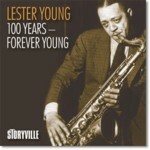 Savoy Jazz continues to celebrate it’s revival by releasing a complete anthology of Lester ‘Prez” Young’s recordings for Savoy. 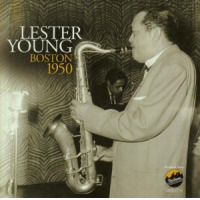 This collection is divided into two separate and distinct periods in Young’s life. 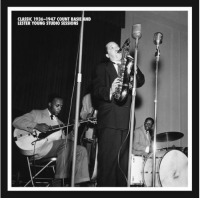 Disk two offers a collection of two post-war recordings done by Young with his Sextet in the studio in 1949 and ‘in performance’ in 1950 with his Quintet. Due to natural artistic evolution, more freedom in the studio and confidence in his abilities to lead his own group, Young truly stretches out and fires all cylinders into the microphone and to the audience in attendance. 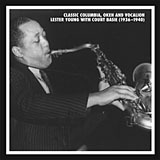 As soon as you purchase this CD, immediately play Young’s live recording of “Body and Soul,” (Track #12), as it is nothing short of a dynamic piece of ear candy from this fearless tenor sax-man and his quintet. Savoy does another great job with their re-issue campaign, as they fully explore many aspects of an artists career recording for the historic label and provide wonderful insights in the liner notes.